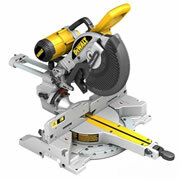 Using the XPS system the Dewalt DW717XPS 250mm slide compound mitre saw lights the way for others to follow. The DW717XPS slide compound mitre saw delivers a breakthrough in cutting guide technology, the XPS shadow line cut indicator illuminates the work piece using dual lights, casting a shadow of the blade onto the work piece providing fast accurate alignment of the blade for increased productivity. 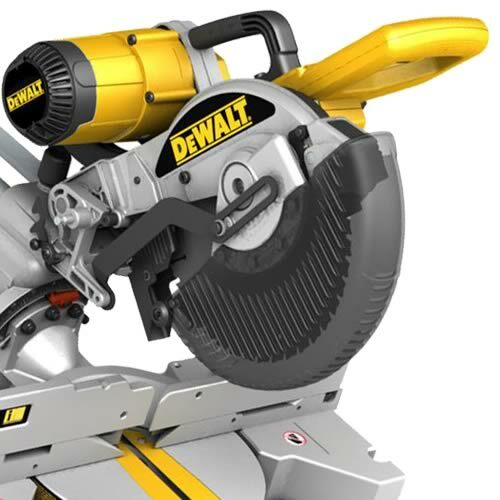 Boasting a powerful 1675 watt motor with 4000rpm blade speed, the 250mm diameter blade delivers an impressive 88m depth of cut with an equally impressive 320mm crosscut capacity. The large sliding fence providing support to large material cuts at any angle or combination of angles for maximum accuracy and stability. Linear horizontal rails utilise bronze guides providing maximum precision when cutting materials up to 320mm. An innovative grooving stop allows cutting depth adjustment for rebating and grooving applications. A quick release bevel setting provides accurate and simple setting of bevel angles up to 48* both to the left and right and a cam action mitre lock function makes mitre setting faster and easier allowing quick adjustments of angles between 0-60* left & 0-50* right providing maximum versatility. The DW717XPS’ compact and lightweight 23kg design delivers enormous capacity whilst being easy to transport around. Complete with a 32 tooth Tungsten carbide tipped blade, blade spanner and dust bag. 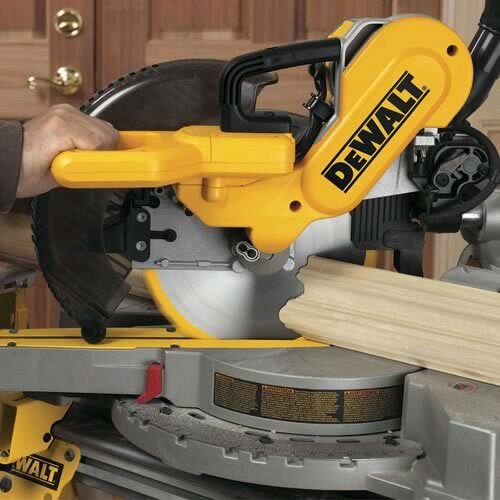 "Not a bad chop saw. Big difference in power to blade from 240 and 110. 240 being better. try cutting an 8 X 2 with it and you will find you taking the blade out mid cut with the 110. I use it for kitchens. Happy with it for that sort of work and materials. Next one will be the 305 blade or a festool. .. "